Aislinn Betancourt is an Impact Management Consultant who specializes in making data meaningful and making data work for meaningful change. She has worked with over 30 values-driven organizations, spanning multiple industries - from education to agriculture - and five continents. Prior to joining SVT, she worked as Social Impact Manager for an agricultural and community development NGO in rural Chile, where she spearheaded the organization's impact measurement and management strategy. Aislinn has also served as a consultant on dozens of organizational development, strategic planning, and impact measurement projects for both domestic and international clients, contributing her expertise in ideation, research, analysis, and project management. In addition, Aislinn is a veteran direct-service practitioner, with 10 years of experience working closely with indigenous communities, at-risk youth, and refugees toward greater economic opportunity, self-actualization, and citizenship. Aislinn is a Fulbright alum and completed her Masters of Social Work at Boston College, where she specialized in social innovation and international development. She received her Bachelors of Arts in Religious Studies and Jewish Studies from Rollins College. Aislinn currently resides in her family's native Colombia. Benjamin became a youth advocate when he proposed a United Nations Youth Assembly Project at 18, and later founded the Global Youth Action Network (GYAN), which connected over 10,000 organizations in 180 countries. Benjamin also helped to organize the 2000 US National Youth Conventions, launch Global Youth Service Day (the largest annual celebration of young volunteers), Chat the Planet TV (on MTV) and Three Dot Dash. He speaks 5 languages, has self-published 2 books of his photography, poetry and art, and loves travel, photography and music. He is co-president Natural Immunogenics Corp (makers of Sovereign Silver), and serves on several non-profit boards. 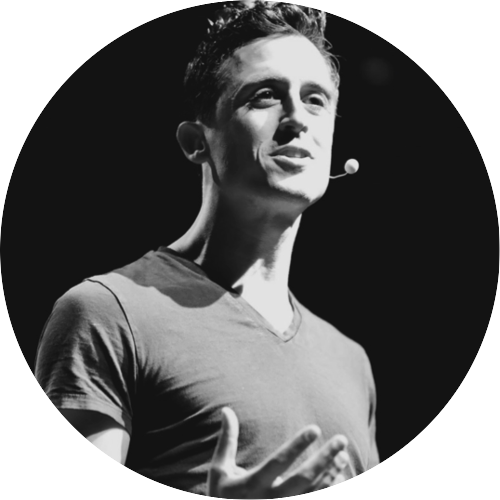 Brett is a speaker, educator, and leader at the intersection of techno-optimism and reality. His provocative explorations of technology, society, and the future have inspired thousands of people in over a dozen countries through high-energy keynotes and interactive workshops. 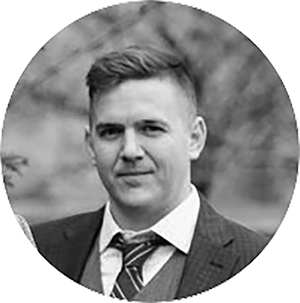 With a resume that ranges from psychological researcher to head of an international development NGO, Brett's experience lies at the intersection of techno-optimism and humanity and drives a deep desire to leverage technological and social change to enable a positive future. He is an advisor to multiple companies working in education and social impact and As co-founder & CEO of the educational development company IDEAco, Brett launched the City X Project, an innovation and problem solving curriculum for kids which is used in over 75 countries (and in space!). He has also designed future-focused learning experiences for GEMS Education, the United States Congress, and the United Arab Emirates Ministry of Education. He is currently the Director of Impact at the future-focused Singularity University at the NASA Research Park in Silicon Valley, where he infuses a make-the-world-better mission across programs and a community of 170,000 people in 127 countries and leads experimental partnerships for future learning and nuclear threat reduction. Featured on Huffington Post, NPR Music, BravoTV and up on the main billboard in Times Square NYC in 2017, DJ CherishTheLuv is a Bose® Professional DJ, and is the Resident DJ for Nile Rodgers We Are Family Foundation, Whole Foods NYC, Heritage Radio Network, and Urban Vegan Kitchen. Her local and international clients include W Hotels, the Canadian Consulate, Viacom, Netflix, TBS, Food Network, Urban Deli Stockholm, Ryan Seacrest CIVIC, private/corporate and she has spun for celebrities such as Amy Schumer, Samantha Bee, Chef Anne Burrell and Oprah Winfrey. As a Music Missionary, DJ CherishTheLuv teaches DJing at Willie Mae Rock Camp for Girls and in an orphanage in Ecuador, and aligns herself with charities & non-profits focused on empowering girls, women and childhood cancer patients. A Survivor herself, Cherish is an author for Memorial Sloan Kettering’s theater program Visible Ink, and is the DJ spokesperson for the LivingWith app. Danielle Giambattista is the Founder and Director of Chicken Shop Company Limited, which operates Little Birdy, an up-and-coming healthy Australian style chicken shop, which opened its doors in Hong Kong in February 2018. She is also the Managing Director of Food Driven Inc., a hospitality consulting company that specializes in concept design, food and beverage menu development, restaurant operations, human resource development, and project management including overall corporate strategy execution for newly opening and existing establishments. Danielle’s background includes over 15 years of professional experience in the hospitality industry working with prestigious chefs such as Daniel Boulud, Gordon Ramsay, and Alan Wong. David Ingraldi is an entrepreneur based in Hong Kong. Prior to relocating from New York City, he was an investment banker in the Private Capital Group at Jefferies LLC which raised over USD $5 billion of institutional capital for private equity, private debt and private financings during his tenure. Previously, Mr. Ingraldi worked in the Mergers and Acquisitions group at SMBC Nikko Securities America, Inc., the investment bank of Japan based Sumitomo Mitsui Banking Corporation. In addition, Mr. Ingraldi has experience working in Microfinance in Kenya, Africa and retail expansion in Istanbul, Turkey. David received his MBA and B.S. in Business Administration with a concentration in Finance from Fordham University. Gani Naylor is a facilitator and documentary filmmaker. Gani is passionate about helping young people develop their confidence, self-awareness and power to make a difference in the world. As a facilitator for PYE Global (Partners for Youth Empowerment), Gani trains teachers and educators to bring creativity and vibrancy to their work leading to fun, engaging, transformational learning experiences. He weaves a variety of art forms helping groups come together, build trust and connection and feel free to truly express themselves. Recent projects include working with refugees in Greece with Unicef. Other passions include sailing, surfing, making music and storytelling. Gary is an environmental and water activist and filmmaker. He founded Make a Change World, a media outlet that uncovers uplifting and inspirational stories on a mission to do good. He is passionate about creating social change through videos and giving a voice to the underrepresented. With his younger brother Sam, he has a launched a series of expeditions from kayaking the world’s dirtiest river on plastic bottles kayaks to stand up paddling down New York’s most toxic waterways. In the past 2 years, Gary’s work has been seen by +500 million people. Jacob Horowitz is the Co-founder and Editor-at-Large of Mic. From global affairs and politics to arts and science, Mic offers compelling stories and perspectives on the issues that define the next generation. Jacob contributes feature stories and run's Mic's Opinion video team, which features the world's leading thinkers with provocative video op-eds sparking big conversation. Jacob has interviewed some of the world leading thinkers and leaders, including President Obama, Bill Gates, David Cameron, Shimon Peres, Queen Rania and more. 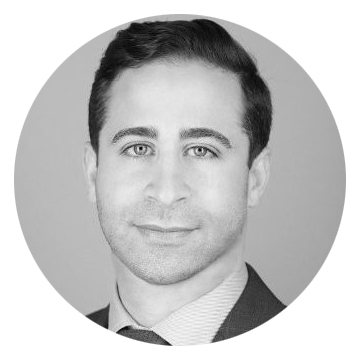 Prior to Mic, Jacob lived and worked on both sides of the Israel­-Palestine conflict, worked for the Carnegie Endowment in Beirut, and helped Change.org inspire people to take action. Jacob was named was named to the 2014 Forbes’s 30 Under 30 list and was selected as a United Nations Youth Leader for the Sustainable Development Goals. Jacob is a graduate of Stanford University. He lives in Brooklyn, New York. A noted advocate for children's and families' rights in health and education, Dr. Jeni Stepanek has spoken on television, radio and in print about disability, hospice, family support, parenting, writing, spirituality, peace and many other topics, all while battling a rare form of muscular dystrophy. Her youngest son, Mattie, was a poet and peace advocate whose bestselling books have inspired millions. Mattie created poetry and essays from age 3 until he passed away in 2004 at age 13 from muscular dystrophy. Jeni is the author of the NY Times bestselling book, "Messenger: The Legacy of Mattie J.T. Stepanek and Heartsongs.” In addition to serving as the Executive Director of the Mattie J.T. Stepanek Foundation, Jeni is a faculty associate at the University of Maryland where she earned her doctoral degree in Early Childhood Special Education, specializing in anticipatory grief and family support. Jeremy 'Jerm' Cohen is a NYC-based photographer specializing in lifestyle & portraiture. His work reflects his personality through its vibrant and playful style. This is the only place he speaks in third person. Joseph was born in 1990 and grew up during the famine in North Korea. After his father died of starvation, his mother and sister went to China. He was left homeless, living on the streets and having to steal and beg to survive. He eventually escaped to China where he connected with an international NGO called Liberty in North Korea (LiNK), who helped him on his journey to freedom, resettling in the United States in 2007 as a refugee. Joseph is a former America Needs You Fellow and Council of Korean Americans Fellow. This past summer, Joseph interned at CSIS Korea Chair under Dr. Victor Cha as a research intern. My name is Juan Miranda 37 years old . First and foremost I am a father to 5 beautiful children . I am an entrepreneur as well as a dreamer. I manage to give back to my community through many free programs I am involved in . I am a poet an aspiring actor and a writer. I enjoy living every moment in the present as well as planting a seed for a better future. I love to learn and embrace difference. I am a hard worker and an understanding individual. I hope this is somewhat good enough, I could go on for days if you let me. Have a great day. By day–Juliana is a senior marketing professional at VICE’s Creative Agency. Her expertise lies in video and data driven content, harnessing insights to create better stories and brand experiences. By night (and weekends), she is a doula, herbalist and yoga teacher. She is driven by a passion for health and wellness and the belief that technology will revolutionize the healthcare experience. It is unfortunate to report that she cannot eat gluten, but manages to remain positive sans bread and get stuff done with a smile. Ps. she will not lose your child. Kimberly Birbrower is a former classroom educator with extensive experience in nonprofits, educational administration, and media literacy, and founded Big Picture Instructional Design. Before that, Kim was the first Director of Education at Steven Spielberg's Shoah Foundation, and prior, served as Assistant Director of Education at the ADL. Kim has her permanent teaching certification, and taught English in various schools throughout NYC. She received her BA from Boston University and her MA from NYU. Lara is Founder and former Director of the TEDx program (TED conferences), and currently Founder / CEO of TheTribe - an organization dedicated to solving the world’s biggest problems through community, tech, ideas and passion. Lara was also Managing Director of Singularity University’s global expansion and implementation strategy. As Founder and Director of TEDx, Lara developed the program to grant free licenses to third parties to organize independent TED-like events. In the first 5 years of TEDx, she grew the program into a global phenomenon with 40,000+ talks given at more than 8,000 TEDx events in 133 countries. As the Manager of Multimedia for Americares, Americares saves lives and improves health for people affected by poverty or disasters so they can reach their full potential. Marc has become an amplifier for those whose voice need to be amplified and has traveled to Nepal, Haiti, El Salvador, Guatemala, and throughout the US to capture stories to share with the Americares audience. His work puts him in the center of hurricanes, floods, and even disease epidemics. Marc began volunteering with We Are Family Foundation, Three Dot Dash Just Peace Summit in 2008, and has watched the organization transform and evolve into an international phenomenon. His love, passion and gift to create enriching content, connecting people to people, and way outside of the box thinking has been recognized by his peers from Apple, Walt Disney Company, Esteé Lauder, and other amazing influencers. what makes web encounters memorable: strong brand narratives and user interactivity. Marc is a graduate of Ithaca College's Park School of Communications with a B.S. in Integrated Marketing Communications and currently resides in Manhattan. During her 2013 TED Talk, Lublin launched Crisis Text Line, the world’s first 24/7, free, text message-based support service for people facing a range of issues, from depression and substance abuse to eating disorders and physical abuse. With over 60 million text messages processed, Lublin expanded Crisis Text Line internationally, allowing people around the world to text in and get help. Using this data, Lublin launched a separate initiative called Crisis Trends to track when and where issues occur. Rachel is a User Experience Strategist and Designer as part of SAP AppHaus New York’s founding team. Since graduating from Stanford, Rachel has been a creative education advocate, passionate about empowering individuals and companies to push their creative limits. At SAP, she applies human-centered design to identify business challenges and reimagine what a delightful user experience can be. Beyond SAP, Rachel is a founding member and now sits on the board of Girls Driving for a Difference, a creative leadership non-profit that inspires middle school girls to drive social change. She is also a founding member and advisor of Pair Eyewear, customizable glasses for kids. Rachel and these companies have been featured in Fast Company, Oprah Magazine, IDEO Futures, TechCrunch, Ms. Magazine and spoke at SXSWedu and Gel Conference. Robert Galinsky is proud to have been a part of the Three Dot Dash Just Peace Summit since its inception 10 years ago! He is founder of GalinskyCoaching.com, is head speaker coach at TEDxTeen and TEDxFultonStreet, works with teenagers in Rikers Island Jail and jails and prisons throughout NY State via the organization Literacy for Incarcerated Teens, and also teaches at Getting Out Staying Out (GOSONYC) a re-entry program for formerly incarcerated young men. Galinsky made his Off Broadway debut (at Cherry Lane Theatre) as both a playwright and actor in the fall of 2017 with his one-person play "The Bench, A Homeless Love Story”. The show also marks the New York directorial debut of Jay O. Sanders and The Bench extends its run every Friday night at 9pm through April 13th, 2018 at East Village Playhouse (the new home of Laurie Meadoff’s City Kids.) The Bench is presented by Golden Globe Nominated Chris Noth, Drama Desk, Obie, Olivier Award winner Barry “Shabaka" Henley and is produced by Tony Award winning producer Terry Schnuck. Based on true stories and real people, The Bench, set in urban decay and rubble, explores the emotional heartbreak of five homeless characters and the catastrophic hysteria surrounding AIDs in the 1980’s. “If you enjoy the work of Anna Deavre Smith or 'Humans of New York’ you’re in for a treat!” Theater is Easy. Samhita Mukhopadhyay is executive editor of Teen Vogue. An accomplished writer, editor and speaker, Samhita formerly served as senior editorial director of culture and identities at Mic and is the former executive editor of Feministing.com. She is the co-editor of Nasty Women: Feminism, Resistance and Revolution in Trump's America the author of Outdated: Why Dating is Ruining Your Love Life. Her work has appeared in Al Jazeera, The Guardian, New York, Medium, Talking Points Memo, Mic and Jezebel. As a small child, Seanne wanted to be a backup singer for Tina Turner. The timing didn’t work out on that…but it did lead to pursuing a degree in Acting/Directing with extended studies in Film & Post Production. She is an Emmy nominated Producer, Creative Director/Production Supervisor, Show Caller, and has spent the majority of her lifetime on a bus or plane traveling the world with concert artists Bette Midler, Cher, Beyonce, Cirque du Soleil, (and a few others she can barely remember until late night storytelling sessions). In her downtime, she can be found jumping in with foundations producing events that put good into the world. She is absolutely in awe of all of the GTL’s, and hasn’t even met you yet! Nothing drives Sara crazier than funders, who mean to help, accidentally preventing organizations from solving problems by confusing outputs that are easy to count with true impact. Captivated by the idea that one day investors could understand not only their financial return on investment but also their social returns, she started SVT Group, the first impact management firm, in 2001. SVT has gone on to train nearly 6,000 individuals in impact management skills and assess the social and environmental value of over $9Bn in assets. Sara is also the co-founder of the Global SocialVenture Competition, and of Social Value United States, the professional home for impact managers and analysts. After setting up the PR agency Global Tolerance in 2003, aged 24, Simon grew the company to become the world’s leading agency in social change. He represented leaders including HH Dalai Lama, HRH The Prince of Wales, and Gandhi’s grandson. Simon then famously gave away the £1m company for the riches of family life. Between diaper changes and role-playing as a dinosaur-fairy-princess, Simon works with a Tibetan Buddhist master, and travels the world with his family, giving talks about love and leadership. Simon is an experienced event host / chair (including TEDxTeen in New York and London) and is also a contributor to the Harvard Business Review, Entrepreneur magazine and other global media. The work of Shantell Martin is a meditation of lines — a language of characters, creatures, and messages that invites her viewers to share in her creative process. Part autobiographical and part dreamlike whimsy, Martin has created her own world that bridges fine art, performance art, technology and the everyday experience: conversations, objects and places. Underlying Martin’s work is a quest for identity — her own, discovered and refined in the development of her characteristic style, and that of the viewer, engaged by Martin’s direct questioning and further explored in her winding lines. Her artwork has appeared in the Brooklyn Museum, Museum of the Contemporary African Diaspora, Bata Show Museum and a number of private galleries. Tom Barritt is a veteran communications training instructor and a sought after speaker and facilitator, with more than two decades of experience. He directs Ketchum’s network of communications trainers and creates and facilitates customized training workshops to help clients effectively deliver messages in a variety of forums. Mr. Barritt has clients preparing for interviews on major news broadcasts, including Nightline, ABC News Primetime, Dateline NBC, Good Morning America, 60 Minutes and Today, as well as print interviews and satellite media tours. He has counseled CEOs, senior executives and spokespeople for numerous corporations and associations. Timothy is from Albany New York and now lives in both Brooklyn and Saratoga with his husband and four dogs. He received his BFA in Theatre Design and Technology from Adelphi University. His work includes several years of production on fashion shows, Musical Theatre and Opera. This is his first Just Peace Summit and can’t wait to meet all of these incredible teens. Todd Lucey is a fifteen year veteran of the restaurant and hospitality industry. Todd began his career as a line cook, working at the Four Seasons Hotel and various country clubs. His passion for great food led him to Europe where he furthered his culinary education, earning certificate degrees in both Italy and Spain. After his time in Europe, Todd returned to New York City and joined Chipotle Mexican Grill as a General Manager. Chipotle proved to be an exceptional training ground, preparing Todd to pursue more entrepreneurial ventures, including launching Hot Clay Oven, a fast casual Indian concept. Over the last five years, Todd has grown Best Pizza into an award-winning pizzeria in Brooklyn, NY; launched Good Food Brooklyn, a farm-to-table catering company; and reentered the corporate world with Le Pain Quotidien. Most recently, Todd founded and launched CulinarySmarts, a catering and hospitality consulting business, Comostamos, a Latin mobile food concept, and Slice Co., a Charleston, SC based pizzeria. Trevis hails from the beautiful twin island federation of St. Kitts & Nevis in the Caribbean and is currently pursuing a Bachelors of Arts in Communications at the Florida International University. Apart from working with his non-profit MADE St. Kitts, which focuses on raising awareness about the importance of volunteerism, Trevis is the Vice President of the FIU Caribbean Students Association and aids in lobbying for Caribbean students on campus to the higher administration. Trevis also serves as a Resident Assistant too! Oh, did we forget to mention he is also a 2016 GTL?! He favors traveling and binge watching episodes of The Office and Parks & Recreation. One of Trevis' major life achievement is receiving the 2016 Queen's Young Leader Award from Her Majesty The Queen Elizabeth II! He also enjoys listening to Soca, Reggae and Calypso music. Vicki is from Cincinnati Ohio yet now lives between NYC and Las Vegas. She got to dance on lunch tables at the School for the Creative and Performing Arts then received her BFA in Stage Management from the Conservatory of Theatre Art from Webster University. She ran away with the circus for 14 years with Cirque du Soleil. She got to see the world thanks to her time with Cirque. She now focuses on doing production work for events from fashion shows, food and wine festivals to corporate meetings. She is so excited to be a part of the the Just Peace Summit and can't wait to meet everyone. As a strategic & creative planner and consumer brand PR practitioner, Wendy has more than 18 years of experience ideating and implementing strategic PR & marketing communications initiatives and 360⁰ integrated campaigns for clients in various industries such as retail, consumer products, food & beverage, and publishing. Prior to Ketchum, Wendy was an Account Director/Group Manager at Bratskeir & Company, where she managed PR campaigns for Hasbro toys & games, NutriSystem, Breyers Yogurt, Godiva Ice Cream, Steve & Barry’s University Sportswear, and Polar heart rate monitors. Wendy graduated from Columbia University with a degree in Biological Sciences and has a passion for TV, baseball, and all things pop culture.